’ve been using this headset for about four months now. I fell in love with it on day one. Starting day two, I began taking it home with me from the office and bringing it back the next morning. The Voyager Focus UC’s ability to switch automatically between my office phone, cell phone, and computer, enhances my productivity more than I could have imagined. It just works. It is seamless. The battery life is truly robust. Furthermore, the audio quality of the headphones and the microphone are the finest I have encountered in a work-oriented headset. My much loved Office Runner now sits idly on my desk. That said, the Office Runner’s range far exceeds that of the Voyager, and there are many times when I could use the extra range. 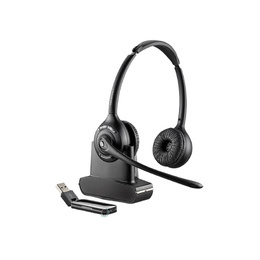 The delta in range, however, is a function of Bluetooth’s limitations and Plantronics cannot be faulted for this. The engineers behind this product truly strove for perfection and nearly achieved it. 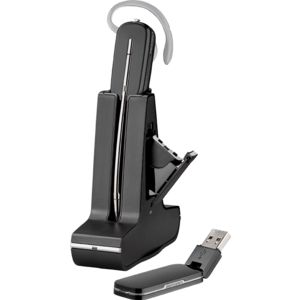 What I love most about this product is that it works seamlessly between my mobile phone and PC. I can be on my computer working but when I receive a phone call, it switches to my mobile phone automatically and then back again. Also, it is very lightweight and comfortable to wear. It is a delight and I would recommend it highly to anyone who needs to be on a computer and their mobile phone constantly throughout the day. 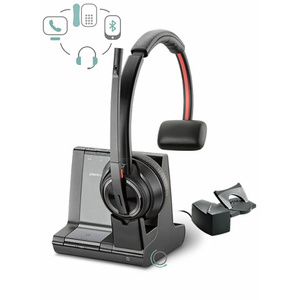 I purchased this headset directly from Plantronics almost 2 years ago and have had no issues with it, despite heavy air travel schedules, intense use both in the car and office. It is a super value for the price. I had issues with other lower priced over the ear headsets and would never go back to them after owning this one. I received this headset to use about a month ago. They feel great on the head and are very comfortable - like a warm hug when you put them on. Many other headsets I've tried hurt my ears after wearing them for a short time - but not these. Functionally they have all the features I would want and they're not overly complicated trying to be all things to all customers. They feel like a quality built headset - there's nothing flimsy about them. The sound quality is good for phone and provides surprisingly good range for music (good lows and highs). I'm very pleased with this headset. I have a reputation for going through headsets pretty fast. 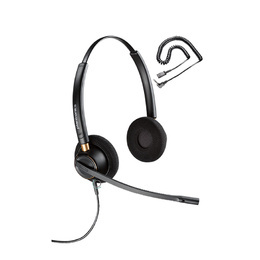 As an entrepreneur who works from home and abroad I am tough on headsets. I have tried them all, and have to call it on the Voyager, it is by far the best headset I have ever purchased. The sound beats all other headsets I have owned. It's durable, the smart sensors rock. 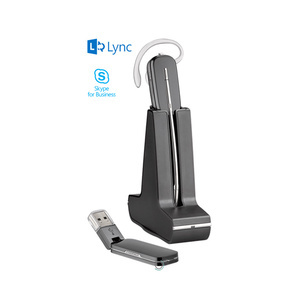 I love how versatile it is, I can run my business, listen to trainings, meditate, I can do it all with this headset and the reception around the house is fantastic while getting things done around here. Highly recommend investing in a headset that invests back in you. I also purchased the Backbeat GO 2 Wireless earbuds for the car. They work amazing and I love the pouch with recharging battery pack. I am never without a headset now! 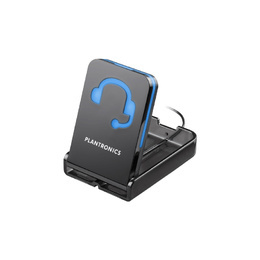 Plantronics you are my HERO!!! !